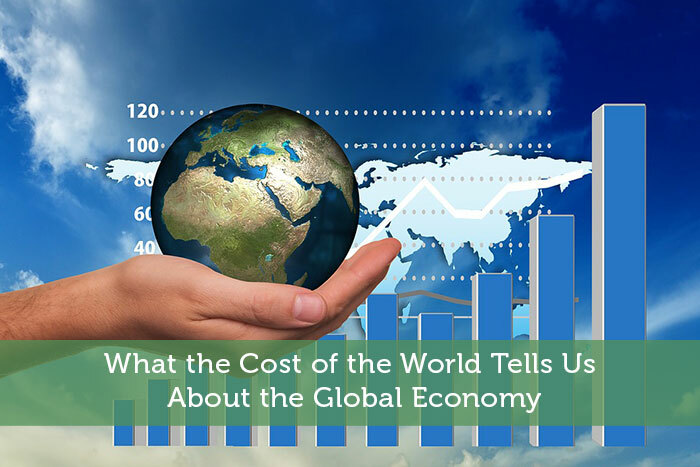 The global economy is a complex beast – with a web of different factors overlapping. It’s what makes life challenging for investors – but also what presents an opportunity too. By spotting and understanding a trend, you put yourself in a position to be able to capitalise on and make some serious money. It’s important to realise that we don’t all experience the global economy in the same way. Take something as simple as a cup of coffee. An early morning commuter grabbing a cup on their way to work will need to pay £3.04 in London on average. The same commuter in Rome could perk themselves up for 78p, while in Dubai it would set them back £4.47. Now apply that variation to more serious assets and you can see how it’s tough to keep on top of the cost of the world. Those coffee figures feature in a new infographic from trading platform IG, which pulls together data in ten different factors, to demonstrate the variety in cost across the world. American drivers pay a lot less for their fuel than most other countries (barring the UAE). Indeed, prices in European countries are as much as double those paid at the pumps in the US – making a huge difference for individuals and businesses that incur logistics costs. That price saving comes from two factors – the ability to produce gas and the taxes drivers pay. As City Lab notes, this latter factor ensures that driving is ‘underpriced’ in the US – with the downside being a lack of cash for road maintenance. Countries that have neither the production capability or favourable tax regime both pay more and are more prone to the price of oil. Whether you’re engaged in forex trading or just try to set fair prices across different territories, currency fluctuations are important to spot and understand. The research from IG clearly demonstrates the role that politics plays in this. The UK might, in normal times, be seen as a strong and stable economy, but events since 2016 and the vote to leave the European Union might have shaken faith in this. Taking a period between November 2015 and November 2018, the Pound dropped 17.35% in value. The Financial Times reported how estimates of the ‘Brexit impact’ on the UK economy ranged from £20 billion to £40 billion in the two years after the vote. That level of volatility makes price setting difficult and shows how political upheaval can have a big ripple effect in the world of economics. No one economic factor sites in a vacuum. They all interact with one another to form what we might loosely see as the ‘global economy’. It’s only when you put factors together that you can properly appreciate the context of the situation. So, while homes in Brazil might be cheaper than those in the UK (Sao Paolo properties are roughly six times cheaper per m2 than those in London, for example) that’s far from telling the whole story. Higher interest rates and lower wages paint a different picture of the comparative ‘real cost’ of properties. These help to demonstrate why mortgages tend to far outstrip salaries in Brazil – and that the financial burden of buying a property is almost four times higher than in the UK on this mortgage metric. Understanding the global economy and how different people experience it is all about joining the dots. By putting data together we can build a compelling narrative that can inform investors and policymakers alike.